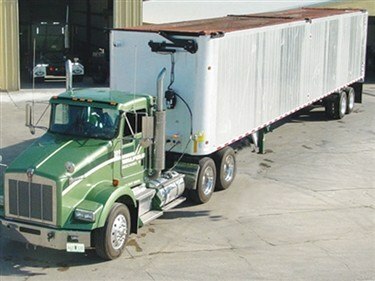 The Donovan Sidewinder II can be mounted on either side of the trailer, driver-side or passenger side. 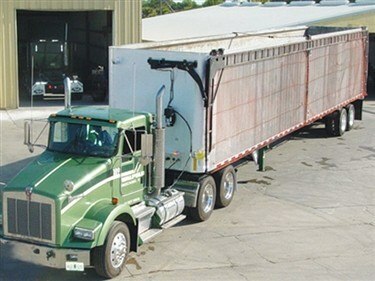 The system operates with a self-contained electric over hydraulic pump or connects to the trailers PTO for hydraulic operation. Fully automatic, the Sidewinder covers or uncovers loads in under 20 seconds. With thousands of units sold, The Sidewinder II has been thoroughly field-tested based on extensive customer feedback. It’s an extremely affordable system, paying for itself in a few months and noted for low maintenance costs. It fits all front wall styles and the lid rests flush against the trailer – ideal for operating in narrow transfer stations. 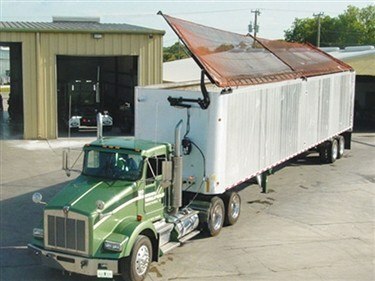 The Sidewinder II transfer trailer tarp system is engineered to flex during loading and unloading, without troublesome continuous drive shafts. 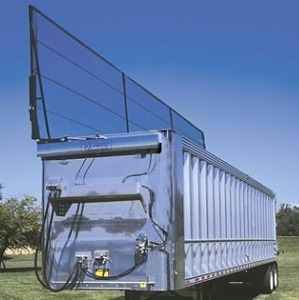 The 3-arm design allows the tarp to properly conform to peaked areas in the load. The Sidewinder’s head assembly comes preassembled. Heavy-duty steel hinges are built to last, and the marine-grade toggle stands up to heavy usage. Components bolt together, no welding is needed. Questions? Need Multiple Units? Call Dan LoAlbo directly at 757-615-4379 for answers and volume discounts! SHOP WITH CONFIDENCE WITH OUR LOW PRICE GUARANTEE. Find a better price? Let us know and we’ll beat it by 5%!